Anivuin C. Xiong grew up a child to refugee parents who had a grade-school education and could barely speak English. He struggled through school and eventually earned a Bachelor of Science in Managerial Economics from the University of California, Davis. He then attained two Masters degrees in Business Administration and Finance from the University of Colorado, Denver. Finally, he earned a law degree from Hamline University School of Law. For over two decades, he has served the public sector in various nonprofit and public positions. He has regularly advocated for under-represented communities, such as minority communities, minority businesses, special needs communities, battered women, etc. 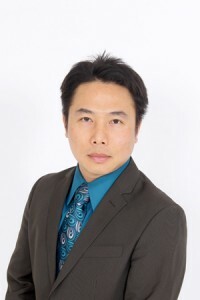 Anivuin currently serves as Board member to nonprofits such as LegalCorps, Hmong Chamber of Commerce, and as Legal Counsel to Hmong 18 Council. Throughout the United States and internationally, he practices immigration law. In Minnesota, he practices law in the areas of criminal, civil, business, personal injury, and family law.